If there is one thing we can be sure about in the ministry of Jesus on earth, it is his concern for the bodily well-being of all people. Food means life, and full living demands, at the most basic levels, that the body be fed. So as followers of Jesus, we take the command to feed the hungry seriously. Because it allows us to feed more people more consistently and fairly, we cooperate with the local Interfaith Community Services Food Bank. Each month they put out a “food item of the month” notice, and we use that as a guide for our monthly collection. Once a week, what we have collected is brought to ICS for their distribution. While the amount varies depending on the time of year, Dove of Peace members contribute about 400 pounds of food a month. 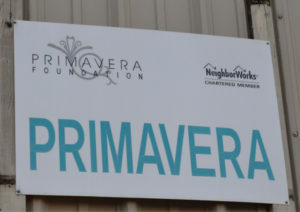 To be more hands-on about it, we also prepare and serve one dinner a month to the residents of Primavera Men’s Shelter. That means that once a month, a group from the church (the Council, or the choir, or the property committee) gets together in the church kitchen and cooks up a big batch of meat loaf, or chili, or mac and cheese. (There might be some rivalry involved in each group’s specialty.) With the addition of salad, rolls, lemonade, and dessert, we then take the meal to the Shelter, and serve it to the residents. On our part, this involves money and time, and some heavy lifting, and clean-up, and organization. But everyone who participates knows—directly—what it is to be God’s hands at work in the world.